There's a new contender gunning for the number-one spot on the droolworthy tech list. 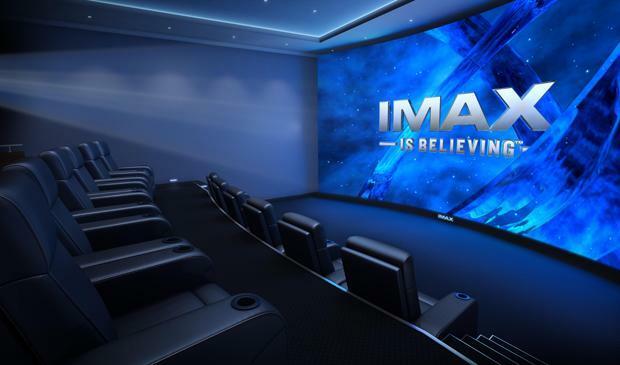 When it comes to obscenely expensive home theatres, IMAX has achieved a new benchmark. The IMAX Private Theatre makes other offerings look absolutely puny by comparison. Think laser-aligned 7.1 channel surround sound, with sound-calibration technology that keeps speakers perfectly synced, and a touchscreen control interface. But visuals are really what this is all about, and the Private Theatre does not disappoint. The ceiling-to-floor, wall-to-wall 4k television with 3D projection screen even has an image enhancer straight from IMAX itself. The enhancer is key for tackling non-4k content and delivering it with stunning video quality. If movies are not your thing, then imagine gaming on this beast. Or catching up with Game of Thrones. You'll feel like you're right there in Westeros. Of course, if those dragons start to look a little pixelly or other glitches surface, you can have support at your beck and call 24/7. After all, no one would expect your pampered self to dive behind the screen and check cables. But wait, that's not all. What's the ultimate in home cinema hardware without bragging rights? So, in case anyone doubts its authenticity, the system even comes with a commemorative plaque designating the IMAX status. That will sure look spiffy next to your Grammy or Oscar, no? So what are you waiting for? Have your valet or butler make the call today!